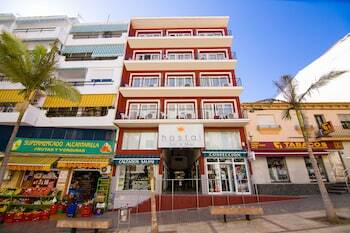 A stay at Sol y Miel Hostal places you in the heart of Benalmadena Costa, steps from House of the B-Fashion Doll and 6 minutes by foot from Templo Hindu. Featured amenities include dry cleaning/laundry services, a 24-hour front desk, and multilingual staff. With a stay at Villas Costa Calpe - Marfileña in Calpe, you'll be within a 10-minute drive of Cala Morello and La Fossa Beach. Free self parking is available onsite. When you stay at Club Hotel Tropicana Mallorca - All Inclusive in Manacor, you'll be near the beach and within a 5-minute drive of Cala Domingo Beach.